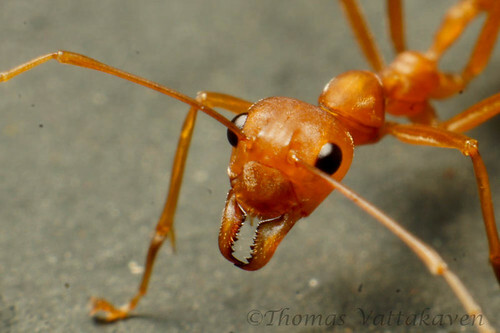 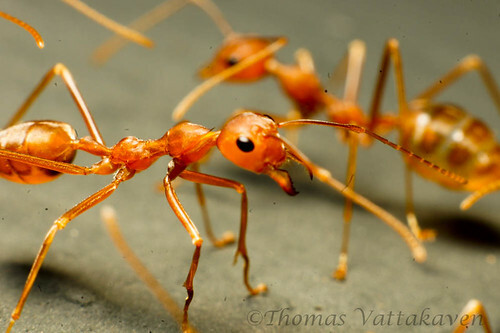 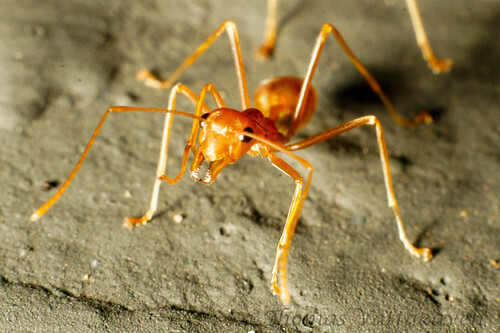 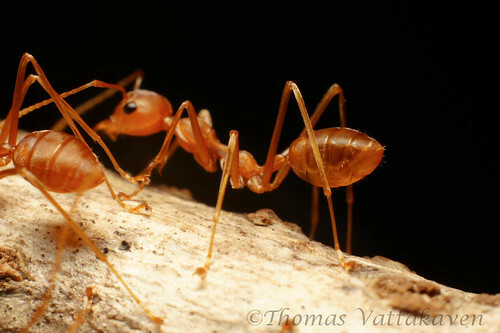 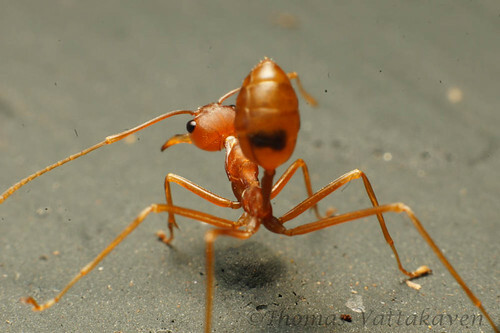 For those hungry for more macro, here are more images of Ants – weaver ants of the genus Oecophylla. 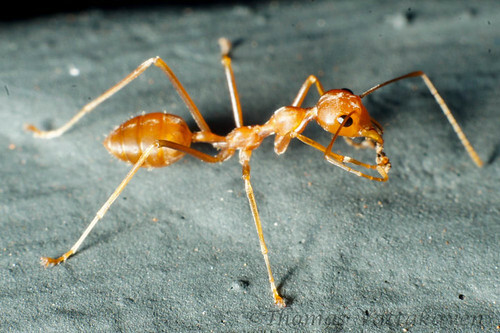 These ants are quite common around my home in Karimannoor, in fact they are becoming quite intolerable as they seem to invade every tree, including the fruit trees and makes it quite a difficult job to pluck fruits without being bitten! 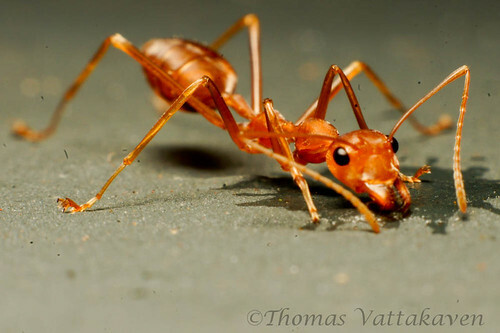 Someday I hope to do a descriptive post on this species, but for now, while I`m still stuck in UK, here are some images I took a while back.